Enjoy the luxuries of home with this studio unit. 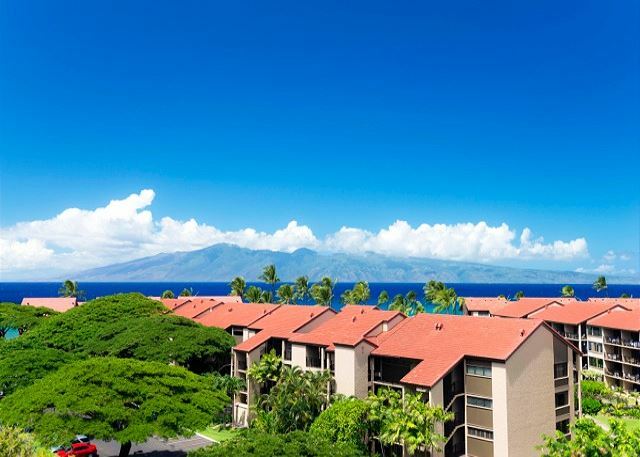 You will enjoy partial ocean views from within the unit as well as from the lanai! 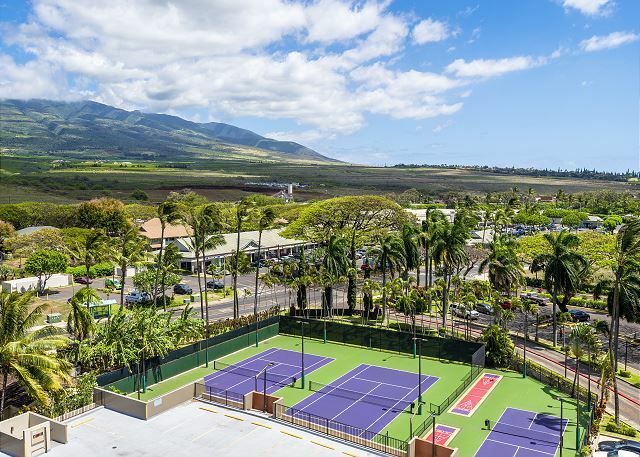 You will also view the gorgeous West Maui Mountains from this highly desirable corner unit! The kitchen and bathroom have been upgraded with granite counter-tops and modern appliances. The unit has an extra large FLAT SCREEN TV, and is stocked with all of the comforts of home, including a blow dryer, so all you have to do is pack your bags and bring a toothbrush and a bathing suit! 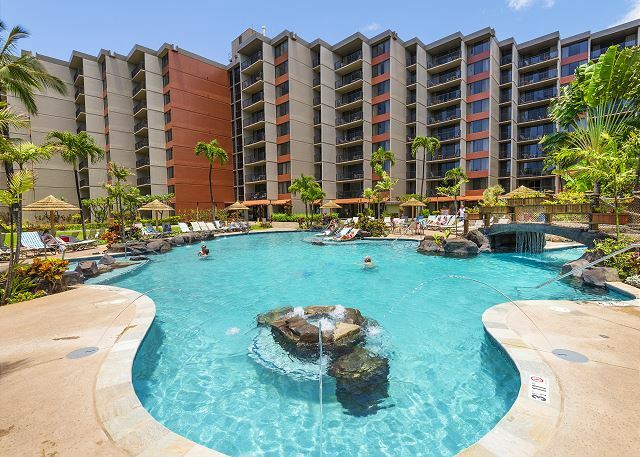 Located on World Famous Kaanapali Beach, you are steps away from FUN IN THE SUN! 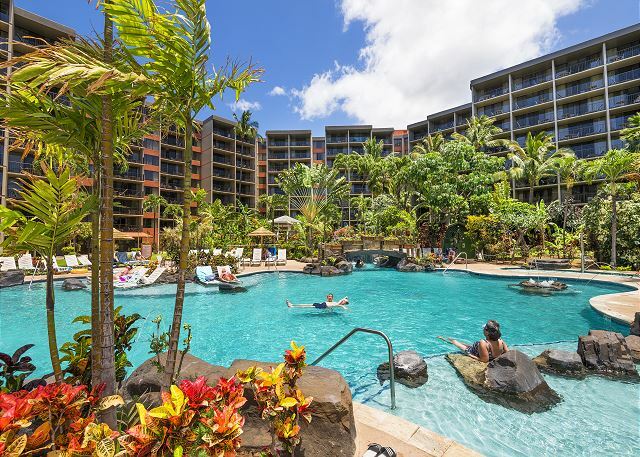 Kaanapali Shores is a highly desirable location that is across the street from restaurants, grocery shopping, souvenir shops, nail salon, beauty salon and much more. 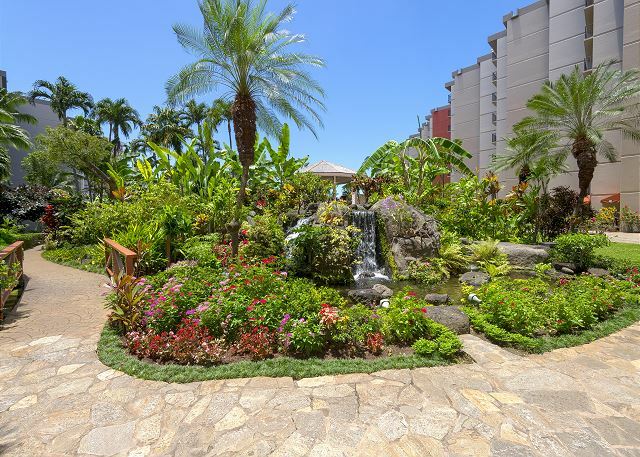 The Garden Pool has been renovated with an array of fun features including a new hot tub, multi-color LED Lighting at night, waterfalls, tropical garden and other aquatic features. Enjoy a refreshing drink at the new Ocean Pool bar before spending a relaxing afternoon poolside. BBQs are for your outdoor fun and cooking right on the beach makes grilling that much more fun! But it's the beach that keeps guests coming back year after year from all over the world. 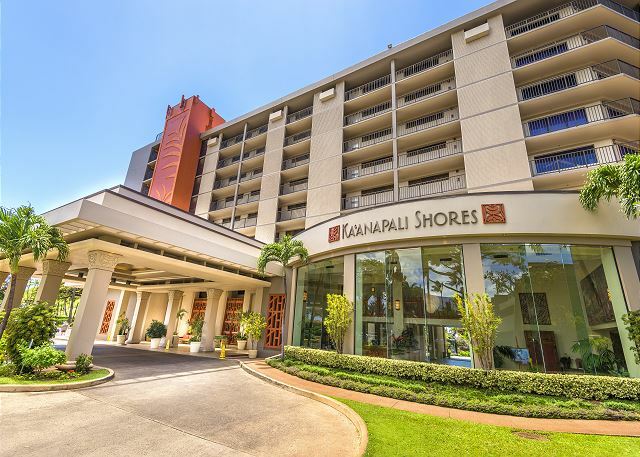 At Kaanapali Shores Resort you are walking distance to every major amenity your heart desires. 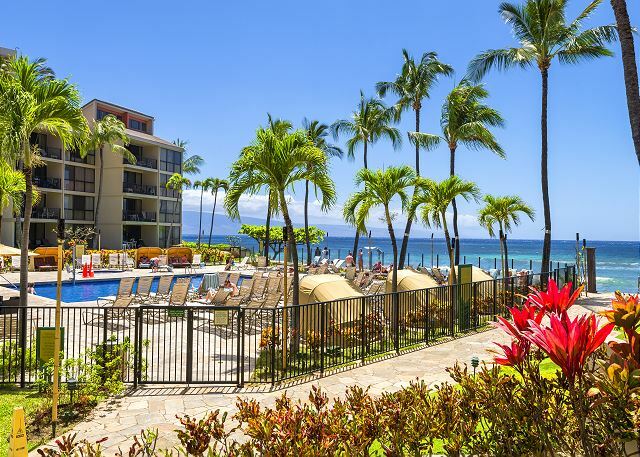 Should you want to, you are a 5 minute drive from Lahaina town, and 5 minutes away from Kapalua Bay, and Napili Bay. 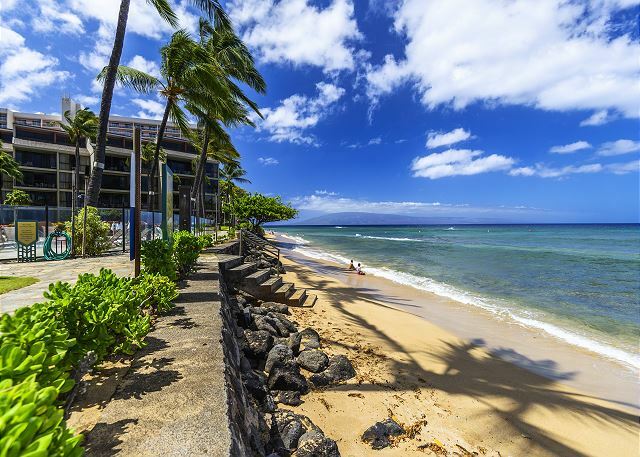 The location is simply second to none and that is why Kaanapali Beach has been named the best Beach in the World by Conde de Neste Magazine over the years. But don't just read about it, experience this amazing venue for yourself and book this unit now! 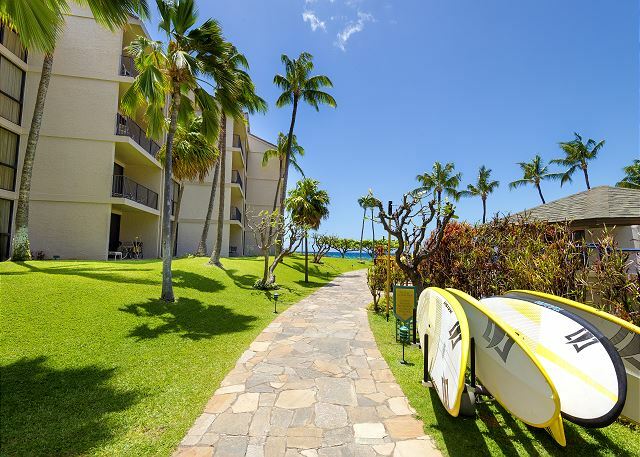 *Note: Kaanapali Shores Resort charges $9/day for parking. Our reservation system is a Homeaway product. Please send the inquiry request to receive a total price. 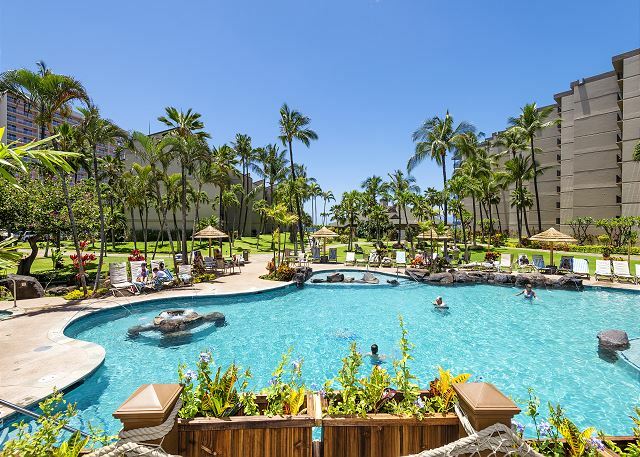 We enjoy a very special vacation, full of beautiful landscapes, with many opportunities for entertainment and personal rest and excellent accomodation.The Island of Maui, in Hawai, is a paradise. 5/5 stars Review by Ryrie V.
5/5 stars Review by Michele B. The vacation rental was very clean. We loved the view and loved the respite. Pools were very nice and we loved the resort being on the beach. The room was very clean and being on the end, quiet as well. We had most everything we needed in the room. The beach chairs were a huge bonus. We were very happy with this unit and would definitely stay again. Overall - this was a great room and I would rent again. We love the location, the area, the veiw was great. An advantage of this unit, being on the end, is the extra light and sunrise views from the kitchen.The furnishings were adequate, starting to show a bit of wear, but if you are there for the beach, who cares, right? The kitchen was lacking - if you plan to cook. There was not an adequate knife to cut...anything....and no metal utensils to take to the BBQ's. If you just want to make coffee and toast, and eat most meals out - this unit will be fantastic for you.There was everything you need for the beach- chairs, cooler, snorkel gear, extra beach towels, etc.Coffee for the first couple of mornings, maui cookies, plenty of coffee filters, dish soap, etc., were all really nice touches. The resort was beautiful, our room was great, and had beach chairs !! a HUGE plus for us. 5/5 stars Review by ALLISON L W.
Good location, close to supermarket, clean building, beautiful pools, .Needed a clothes dryer to hang towels and clothes. Going to the beaches everyday - would have like to hang towels. The unit was very private and balcony very relaxing. Nice view of Molokai. Only negative was the sliding glass doors to the balcony need to be fixed so they close properly. 4/5 stars Review by leah f.
It was lovely. 2 pools. Nice restaurant. Beauty beach. Area was close to the snorkel cruise and we enjoyed that. 5/5 stars Review by sydney k.
5/5 stars Review by Kenan T.
The folks at Epic Realty hand picked the freshest local flowers, the most gorgeous card, and the freshest bottle of champagne to welcome my new fiancé into her room for the week on Maui(per my request) after my very nervous yet successful proposal. The company goes above and beyond, managers, stellar assistants, and warm staff alike. Treat yourself to a wonderful experience with this group, you owe it to yourself. 3/5 stars Review by Teresa G.
3/5 stars Review by RA-Sergio B. Hidden parking fee (not listed in Expedia). Checked out 30 mins late after dealing with pregnant wife getting stung by jellyfish and got urgent text and calls from epic rental about timing. Even after I had notified front desk. Dirty walls in condo. 5/5 stars Review by David V.
The unit was in great shape. It was clean and airy with all the needed amenities. Check in was extremely smooth as we had no issues. 4/5 stars Review by Joe W.
Beautiful area and super convenient with shopping right across the street. The unit is clean and well furnished. The views from the balcony are great. The only drawback is the location of the unit. It sits on the backside of the property far away from the ocean. You still get the views but only if you look forward. If you look down, you're looking at a man made drainage canal. There are small fish in it so it's clean water, just not what we were expecting. You also need to be aware that the property across the canal has there trash area right there so you get to hear a lot of trash trucks, and maintenance workers tossing bottles, and trash in the morning. Other than that I highly recommend the property. The facilities are fantastic, the staff is very nice, food was good and reasonably priced. Happy Hour by the pool is great and take advantage of the free scuba lessons in the pool and ocean dive. Amazing swimming and wildlife right out your back door. I highly recommend this property. 5/5 stars Review by Jennifer K.
We had a wonderful time!! The space was clean and the amenities were great. I will be recommending this rental to friends. It was nothing special, but the price also reflected this. I would book again! Good property in a good location. The unit itself was a little outdated and probably hadn't been renovated since the 80s, but it was clean and came with plenty of towels etc. Close to market and a few restaurants. Pool was enjoyable but missed having a nice beach out front. It was a nice comfortable private location with nice pools and restaurant. It was clean well supplied. As long as you don't expect cleaning service you will be pleased. It was great, but I would of liked more towels to bathe with. The towel rack was coming out of the wall in the bathroom and the sliding door came off the track so we couldn't open it. The owner should do better with the upkeep. 4/5 stars Review by Lori M.
The property was well maintained, and the unti is what we expected. It was nice to have the beach chairs and the beach towels were definitely a nice touch. Bedding could be upgraded and a few more items in the kitchen but overall great experience. Property manager was very responsive. Experience was great. Location and amenities were good. Service at the hotel was good. 5/5 stars Review by James N.
Very nice clean condo that doesn't break the bank. 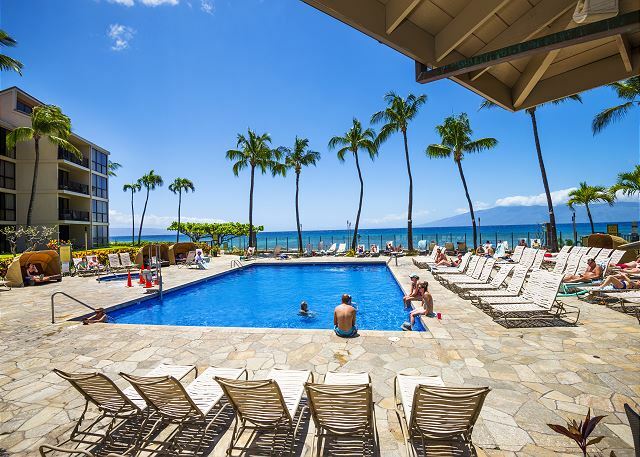 Good view of the ocean, nice pools and great amenities. We will definitely rebook in the future. 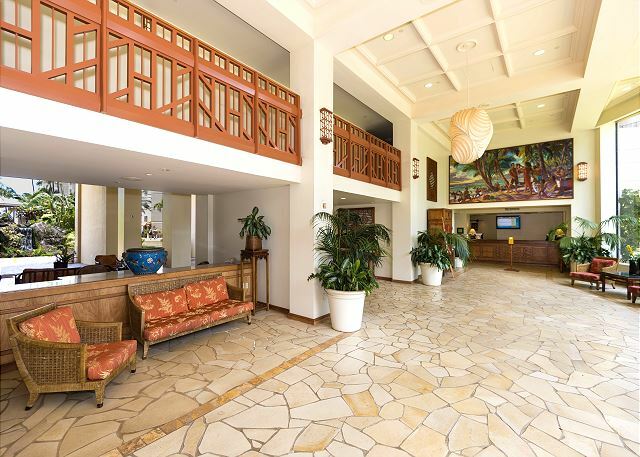 5/5 stars Review by Pierre Alexandre P.
Many thanks - this place was perfect for our vacation in Hawaii. 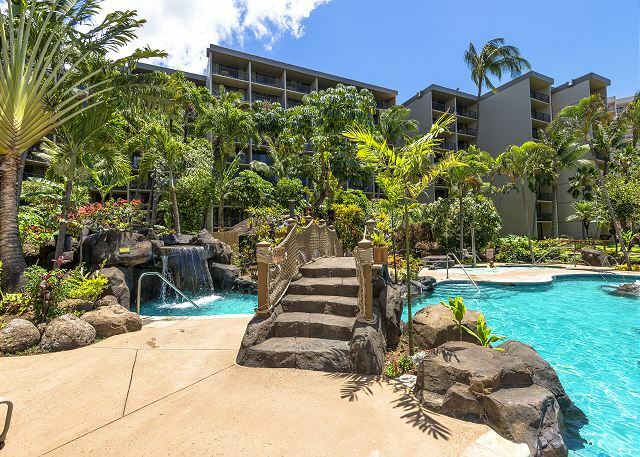 Great value for a wonderful Maui vacation! 5/5 stars Review by Teresa Z. We were very pleased with our rental. It was everything we needed and we really liked the location. Walking distance to anything we needed. Unfortunately the beach in front of this property had been washed away by high tides and strong surf, but the great pool areas made up for it. We didn't have to walk far to get some sandy beach. We would definitely stay here again. 4/5 stars Review by Maureen F.
I was very disappointed with this accommodation. It is very tired and needs a complete refresh. Curtains stained and dirty, bedding old and stained, kitchen poorly equipped. From pictures it appears clean and fresh however it is above the hotel shipping/receiving area and very noisy during the day. Not good value for the price.The best I can say is that the property management company were great to deal with but owner needs to get better housekeeping service. The location was great. It was nice to have the grocery store across the road. The owner said that there would be a cooler and there wasn't so we had to buy one and then leave it. I sent a note about it but there was no offer to bring us one. Only 4 clean towels for three people for ten days. Not adequate - at least providing soap would help. For ten days it would have been nice to have one housekeeping visit that was included in the stay. We paid a fee of 125 dollars for housekeeping. I didn't know that it was only for when we left. Didn't feel that that was right. The building did not have recycling which would have been nice.The concierge Matt was absolutely great .Not sure I would say it was a luxury studio but it was fine. We saw whales every day from the lanai. It was a nice room. It is at the very end, and therefore had a window in the kitchen that the other units don't....I liked that! Everything was generally fine with the room. Nice that the access corridor is all outside instead of a long indoor hallway. Mornings were noisy on the deck due to the loading dock below but we spent most of our time out of the room. Loved the fact that the pool is right next to the ocean, to view the waves and the whales in the distance. Restaurant was good with reasonable prices. Waves were big in this area and unsafe, so it was necessary to walk down the beach a ways where it was calmer. Two hot pools is nice and are open lat until 11. The room has only 2 dining chairs, so not good for more than one couple. I prefer a separate table instead of just the counter...but not a real big deal. Having the beach chairs in the closet for our use was real nice. 5/5 stars Review by Sparrow M.
Perfect for small family. Had all the necessary kitchen amenities and saw whales from lanai. Very quiet end unit. Great location. Everything you need is close by! This was our first VRBO and I almost went with another room, but they wanted so much information that I felt uneasy. This place was so profession and kind and provided above and beyond help in planning our trip. The room was clean and very nice. It was just as the pictures showed. I loved that we were right across a shopping center that we could just walk to for groceries, coffee shops and sit down restaurant. I would definitely recumbent this property!! THE place was great. We left and realized we left some wireless headphones very high up in a kitchen cabinet. Have not been found as of yet and Epic asked us to work with hotel staff. they do not have access since this is privately owned. Hope to get them back but we called about these within two hours of leaving facility so hope we get them back. I found this condo to perfectly suit our family of 4. The 2 queen beds were very comfortable. There were start up kits for the onset washing machine, coffee maker, and dishwasher. The best part of the condo was the conveniences of a hotel that it is housed inside of. The condo had a great view and this unit was at the end of the building, so I didn't always feel the need to quiet my girls. 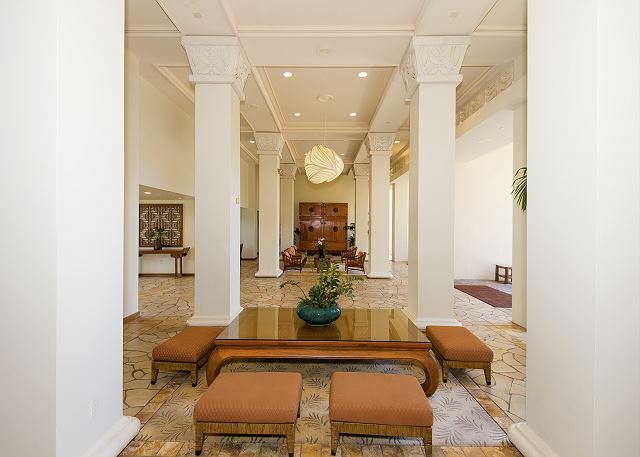 5/5 stars Review by Carolyn W.
The condo was in a good location. You had a good view of the Ocean and you could watch the whales from the deck. It was close to the grocery store, you could walk to it. 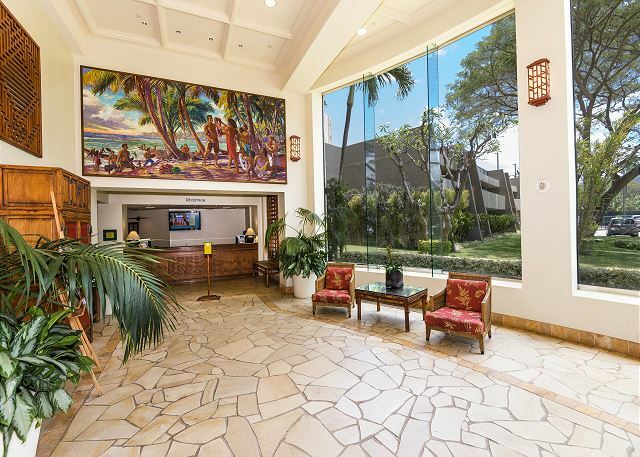 And minutes from Whalers Village and Downtown Lahina. The beach is right there and 2 pools and to hot tubs. I really love this location. This was our second stay at Kaanapali Shores just a different room. We hope to come back in 2016. 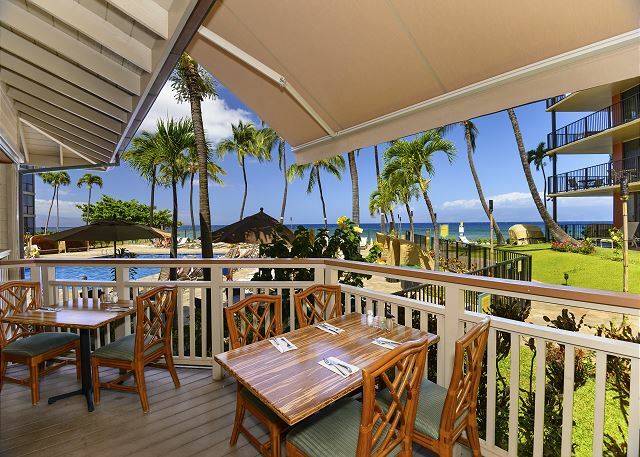 5/5 stars Review by Gabe S.
The place was very comfortable and had an okay view of the ocean. The management staff were very caring and helpful. This will defiantly be a comeback location in the future.